In the December edition of Talkies Magazine, Levi Jones Amsterdam was featured in the fashion news section. Being called “bag heaven” was truly a dream come true. Our first publishing on Vogue.nl thanks to our dear friend and colleague Yokaw. On the 1st of september Yokaw published her article with an amazing new recipe talking about her love for fashion and her vegetarian lifestyle. 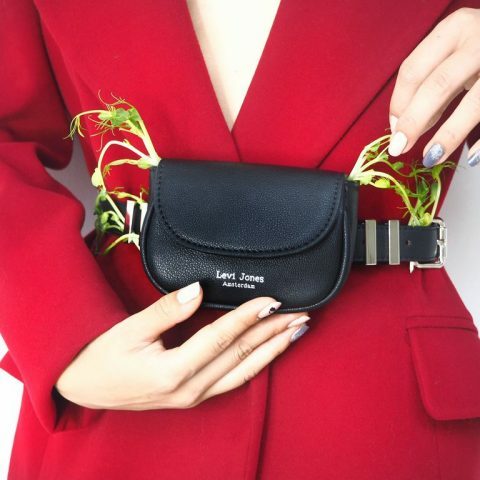 With amazing graphic images she shows off her way of styling our vegan leather bags. You can read her artikel here. Arielle started an Instagram account to share her passion for photography and fashion. She also has a blog called ArielleDannique.com on which she shares her outfits, inspirations, trends but also reviews and hotspots of different places. Arielle shared her experience with her viewers about her Levi Jones Kate bag. Read her article here.